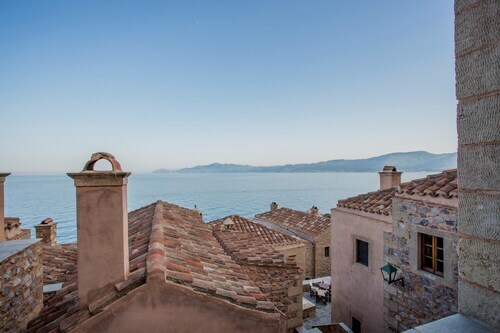 Situated in Monemvasia, this hotel is steps from Church of Christ in Chains, Mitropolis, and Monemvasia Castle. Agia Sofia Church and Archaeological Collection of Monemvasia are also within 5 minutes. Located in the heart of East Mani, this hotel is 0.6 mi (0.9 km) from Cranae and within 3 mi (5 km) of Mavrovouni Beach and Mavrovouni Beach. Valtaki Beach is 3 mi (4.8 km) away. 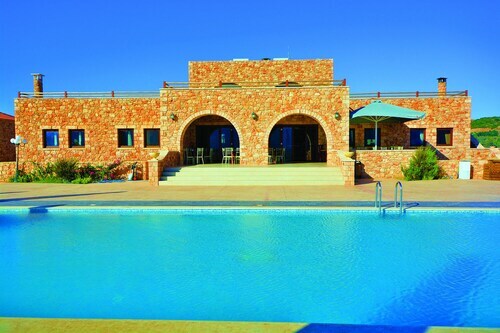 Nestled on the beach, this Monemvasia hotel is within 9 mi (15 km) of Pavlopetri, Pouda Beach, and Kastania Cave. Simos Beach and Panagia Beach are also within 12 mi (20 km). 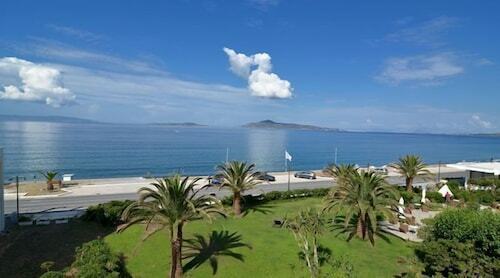 Situated on the boardwalk, this hotel is 5 mi (8.1 km) from Estate Theodorakakos and within 12 mi (20 km) of Olive and Greek Olive Oil Museum and Sparta Archaeological Museum. Ancient Sparta and The Menelaion are also within 12 mi (20 km). 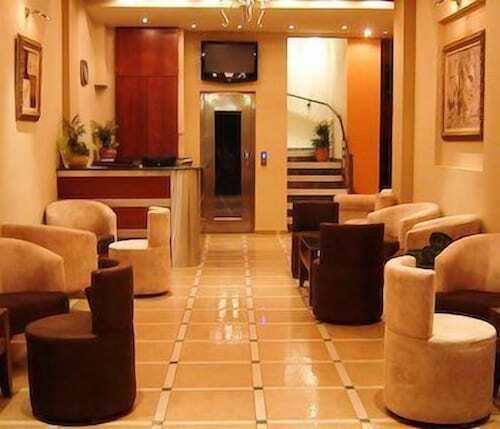 Situated in the entertainment district, this hotel is within a 10-minute walk of Sparta Archaeological Museum and Olive and Greek Olive Oil Museum. The Menelaion and Ancient Sparta are also within 15 minutes. Located in the heart of Monemvasia, this hotel is within 1 mi (2 km) of Monemvasia Castle, Mitropolis, and Church of Christ in Chains. Archaeological Collection of Monemvasia and Agia Sofia Church are also within 1 mi (2 km). 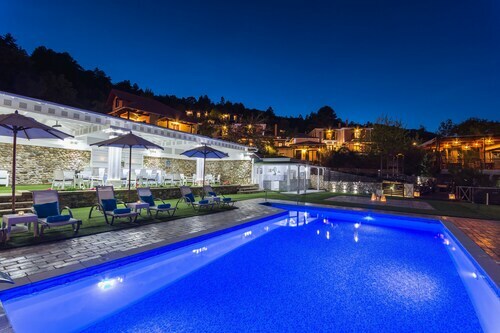 Set in Sparta, this family-friendly aparthotel is within 12 mi (20 km) of Estate Theodorakakos, Olive and Greek Olive Oil Museum, and Sparta Archaeological Museum. Ancient Sparta and The Menelaion are also within 16 mi (25 km). 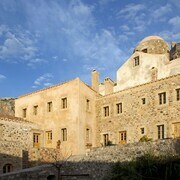 Situated in Monemvasia, this hotel is steps from Mitropolis, Monemvasia Castle, and Church of Christ in Chains. Archaeological Collection of Monemvasia and Agia Sofia Church are also within 5 minutes. 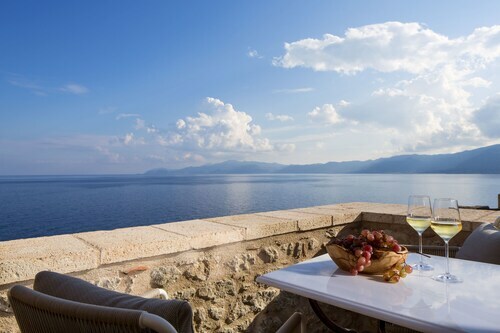 Situated in Monemvasia, this hotel is steps from Church of Christ in Chains, Mitropolis, and Agia Sofia Church. Archaeological Collection of Monemvasia and Monemvasia Castle are also within 5 minutes. 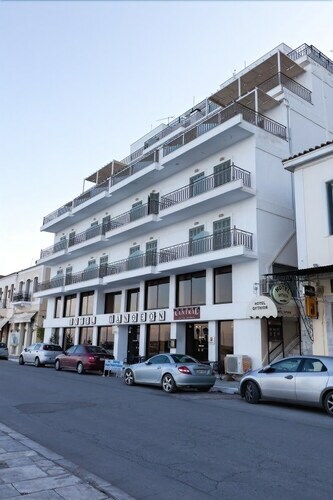 Situated in the historical district, this hotel is 1 mi (1.5 km) from Mitropolis and 2.3 mi (3.6 km) from Mistra Castro. Sparta Archaeological Museum and Olive and Greek Olive Oil Museum are also within 6 mi (10 km). How Much is a Hotel Room in Lakonia? 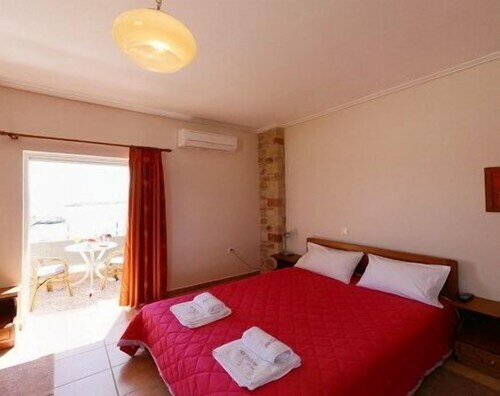 Hotels in Lakonia start at $26 per night. Prices and availability subject to change. Additional terms may apply. Pack your bags—it’s time to embark on a getaway. Whether you’re craving a solo retreat or promising your family a vacation to remember, book one of the best hotels in Lakonia. These hotels are located within easy access of the city’s hottest attractions and entertainment, so you won’t miss a beat while you’re in town. Spend the days exploring the local landmarks and the evenings getting to know the nightlife. After exploring the city from top to bottom, rest up at a hotel that speaks to you. Find the perfect place that matches your trip’s vibe, from a trendy boutique to family-friendly accommodations. Allow us here at Travelocity to pair you with up Lakonia hotels that suit your vacation preferences. Discover places with convenient on-site restaurants, around-the-clock service, and pools where your kids can make a splash. Some hotels may boast fitness rooms and spa services, while others feature game rooms and Wi-Fi access. To top it all off, you’ll score cheap hotels in Lakonia that let you spend more on your activities and less on your lodging. Book and bundle your flight and hotel deals together today and save up to $537. It’s time to explore a new city, and break out of your routine. Such a phenomenal location! Our room was right on the plaza that looked out to the sea. So tranquil and a very comfortable room as well with a sitting area. This hotel has beautiful mountain views. The rooms are very spacious and clean. The staff is very friendly and accommodating. Getting to the hotel is a 5 min walk through the old town on cobbled narrow streets. It really feels like you are entering life from a thousand years ago. Just be aware you may need to carry luggage since the cobbles are not roller friendly. View are awesome! We only had time to stay one night but thoroughly enjoyed our stay. 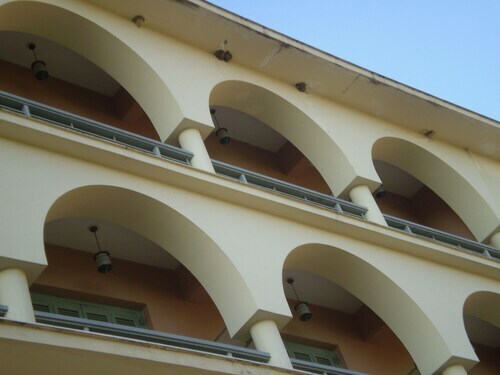 We stayed there on our way back from SE Greece before visiting Mystras the following day. The hotel room was really nice, with a small kitchenette included. We were able to sit out on our balcony overlooking the valley to the east. Even the drive was not too bad; it helped that we got directions from the staff before driving there. 5.0 Rather remote but wort it? A beautiful hotel, beautiful setting, excellent food, great service and special attention to detail. A very unique place! !